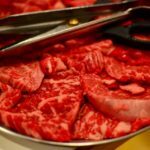 Having a hard time thinking about what to cook? Do you have any leftover rice? If you answered yes to one of these questions, then this easy and very economical fried rice dish is for you. 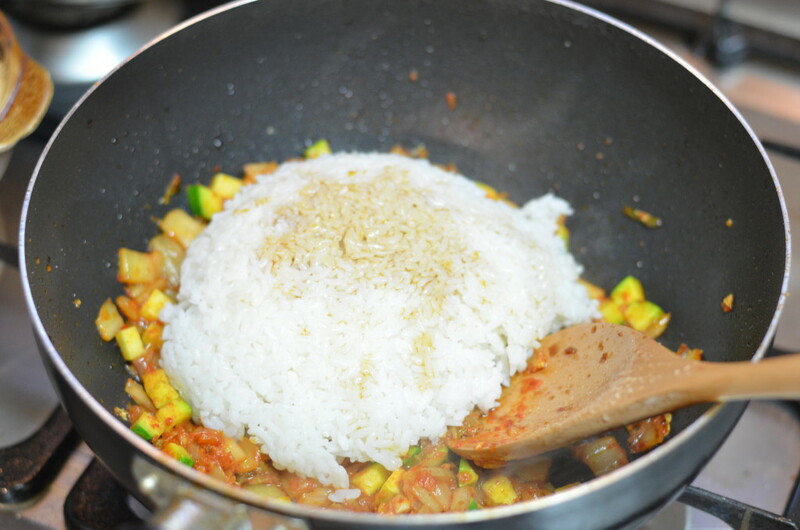 For some reason or another, leftover rice is synonymous with bokkeumbap (fried rice) here in Korea, which is a great thing for me because it takes nothing more than a few extra ingredients (in this case kimchi and zucchini) to make a complete and satisfying meal. Plus, I haven’t done a fried rice dish in a while so it was nice making something different for a change. 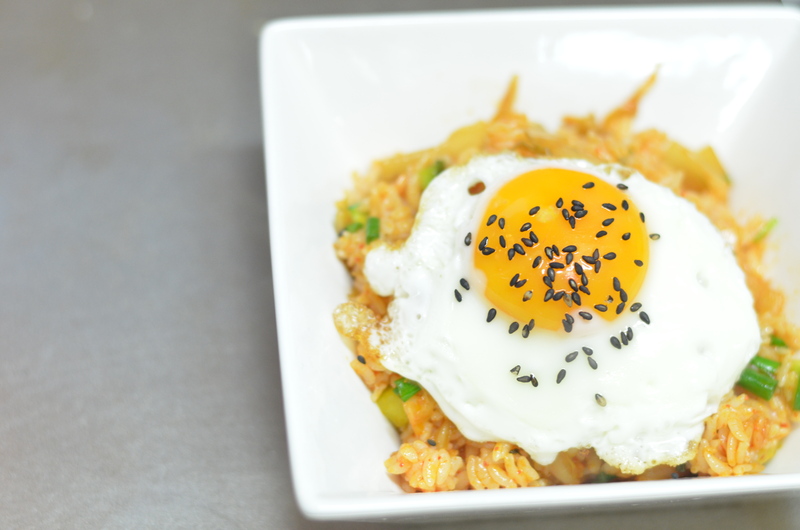 For my version, I kept it simple (real simple) by adding sautéed kimchi to some leftover rice, and then topped it off with a sunny-side up egg. The final result? 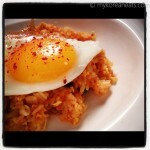 An awesome blend of kimchi fried rice goodness that was a big hit with my lone taste tester. 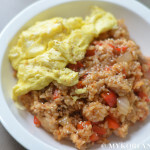 A little more about kimchi bokkeumbap: This is one of many fried rice varieties that can be made quick and easy with leftover rice and well-ripened kimchi. Why use older rice and kimchi? Older rice gets firmer and more pungent over time, thus not only making it more manageable during the stir fry but gives it some depth. 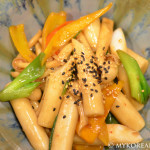 As for the older kimchi, the longer fermentation brings out some added pungency and complex flavors to the dish. There are endless variations of bokkeumbap, but the more popular ingredients include seafood, spam, pork, and a medley of vegetables. Don’t hesitate to substitute ingredients to your liking for a satisfying, no-fuss meal. 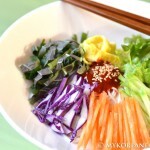 Here are most of the ingredients for this kimchi bokkeumbap. Don’t hesitate to substitute ingredients to your liking. Saute the kimchi and diced zucchini with a good amount of olive oil and sugar; extra sugar if the kimchi is super ripe and sour. Throw in the “leftover” rice and stir fry away. Add some soy sauce and sesame oil for added seasoning. Kimchi fried rice ready to eat! 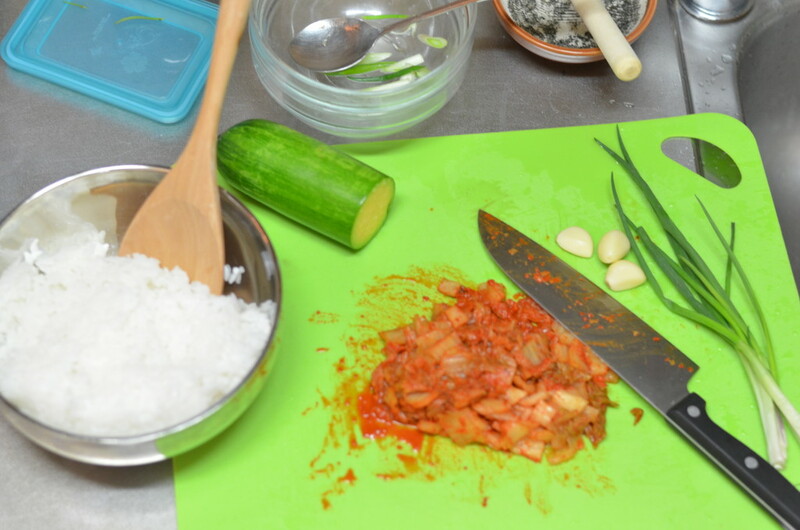 After washing the zucchini, cut into small cubes along with the kimchi. Heat 2 tbsp. olive oil in a non-stick skillet over medium-high heat. 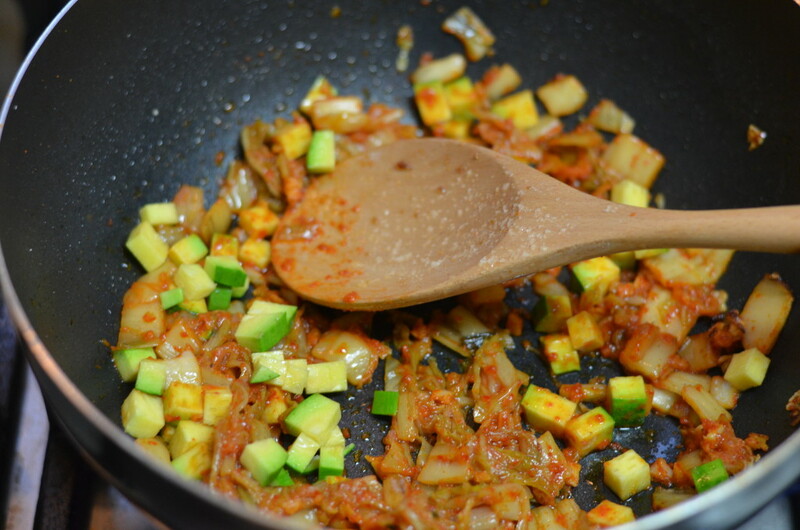 Saute the diced zucchini, kimchi, and garlic for about 10 minutes. Next, add leftover rice, sesame oil, kimchi liquid, and soy sauce to the kimchi. Mix well and stir fry for another 5 minutes. If needed, add some sugar to balance out the ripened kimchi. Set aside on a serving platter or individual dish. In the same non-stick frying pan, make 4 sunny side up eggs. 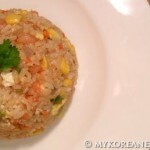 Top on fried rice, garnish with sesame seeds, and enjoy! 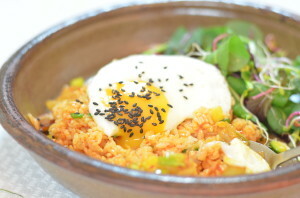 lovely and yummy fried rice easy and quick, really like this combination, with the egg on top.